We are the Giraudeau family: my wife, Miriam, daughters Phoebe and Hannah and me, Nick. 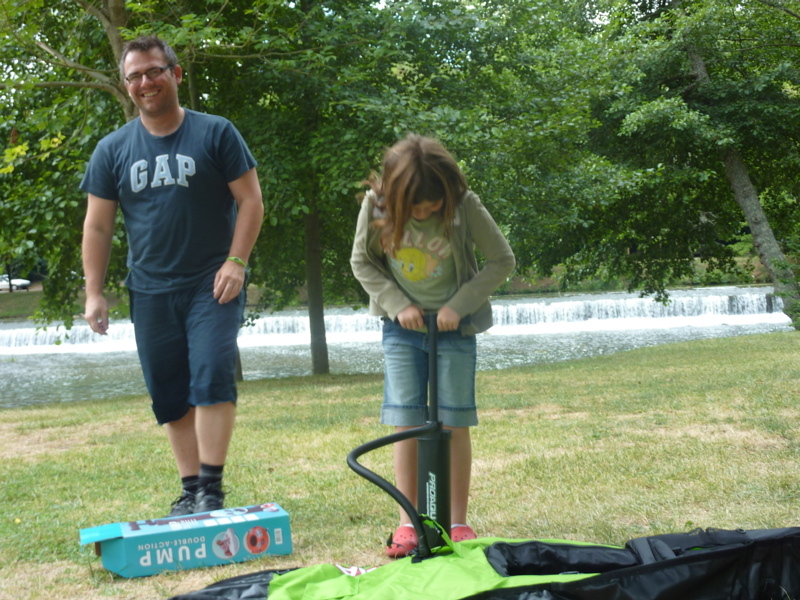 We had a two week holiday in August staying at La Petite Maison at La Ferme de l’église and wanted to record the most enjoyable time had by all of us and in particular, the variety of activities for children and adults. So, a guest post from me about the places to swim in the area. 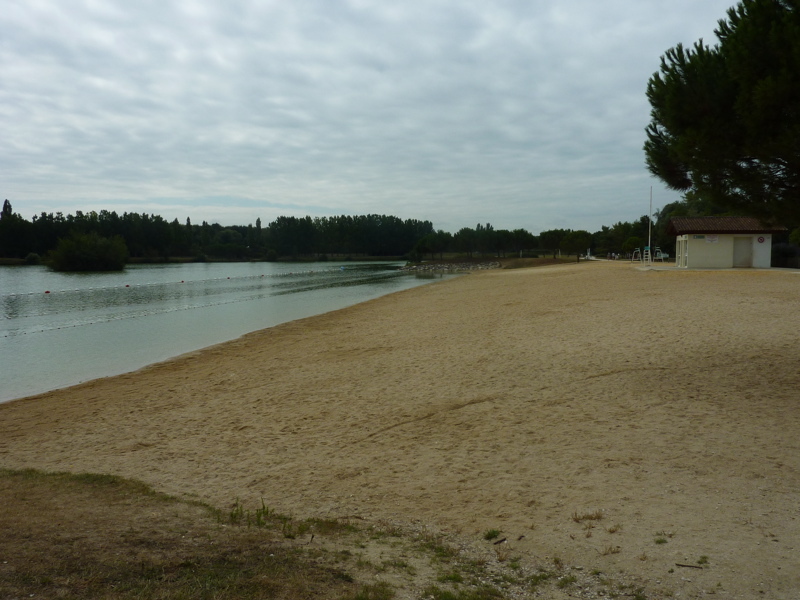 Whilst there are many excellent swimming pools nearby – Lezay, Civray and Sauzé Vaussais to name a few – we were more interested in swimming in rivers and lakes, or Plan D’eau as you will see them signposted. 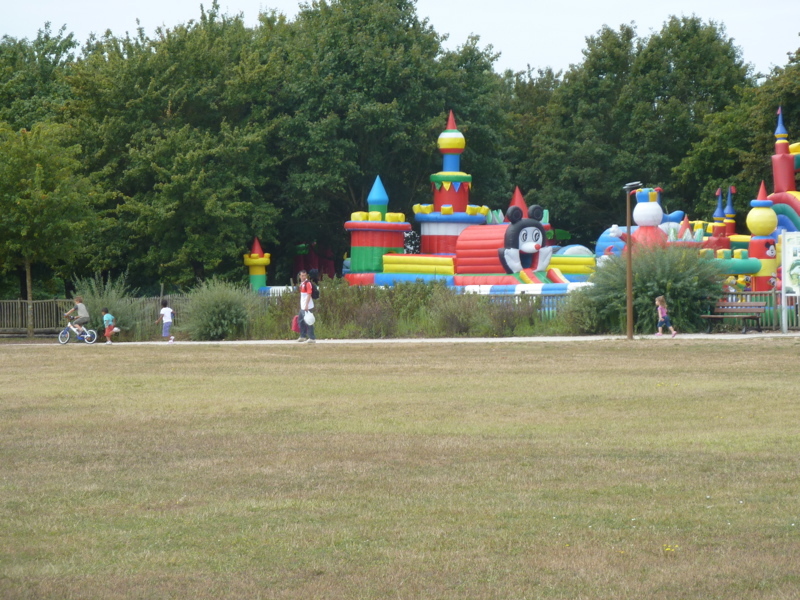 First stop then was the Plan d’eau de la Grande Prairie just off the N10 outside Angoulême. 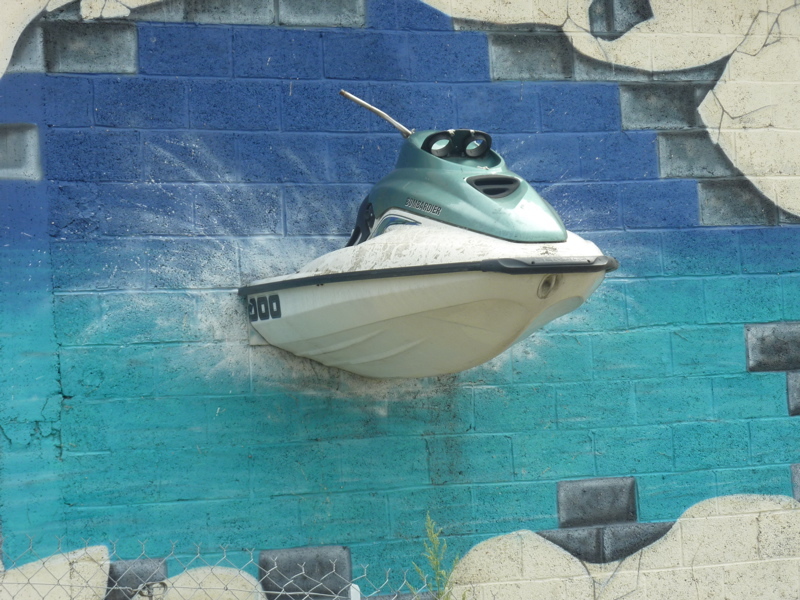 This place is huge, with a large sandy beach and clearly marked out areas for different water sports such as swimming, canoeing and jet skiing. Next stop was St Macoux, only a few minutes drive from La Ferme de L’église. 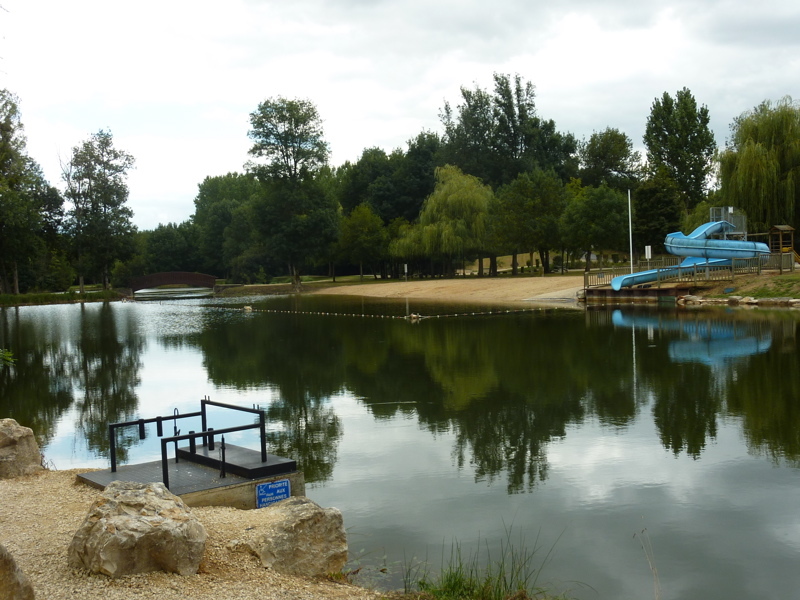 This is a smaller swimming lake with a slide that is open when the lifeguard is present. There is also a section cordoned off for fishing, where carp and roach are amongst those waiting to be caught. With pleasant walks through boxwood trees and other games areas as well as a snack bar for refreshments, St Macoux is a great place to keep the family entertained. 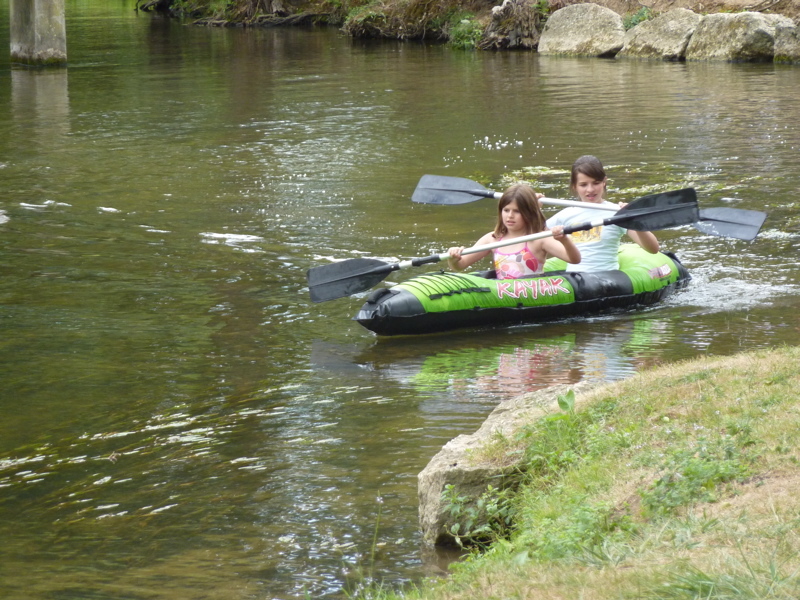 In our two week long stay we also found time to visit the Aire de Rejallant at Condac, near Ruffec. 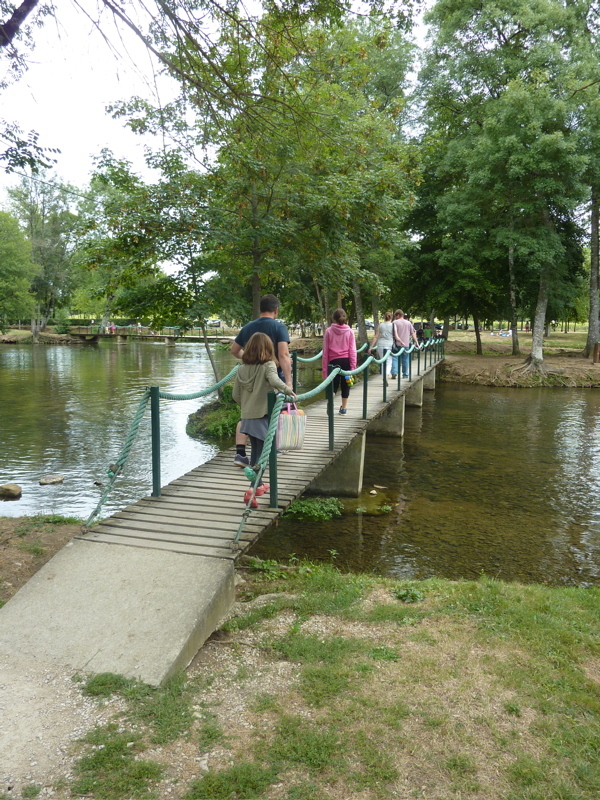 Here the Charente river passes through a weir and the shallows beyond that are dotted with islands joined by bridges. 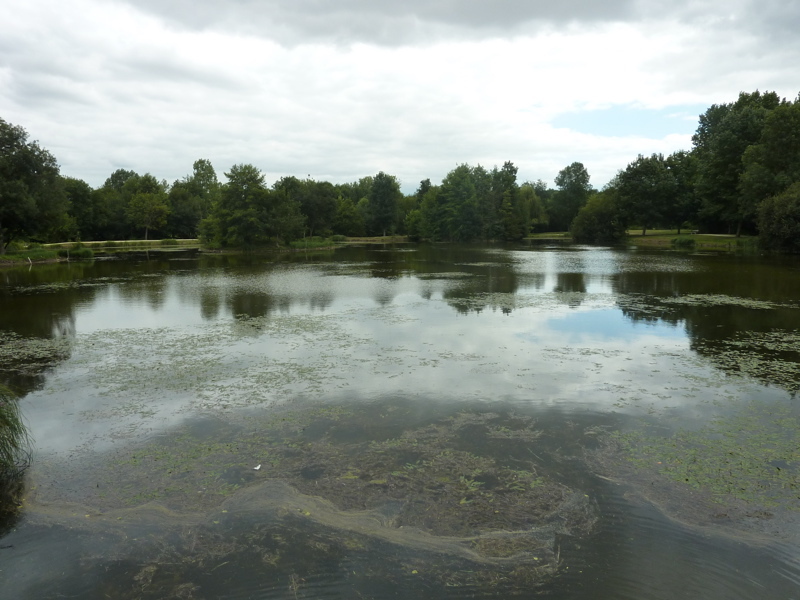 This area is set aside for swimming, canoeing or just messing about in rubber dinghies. 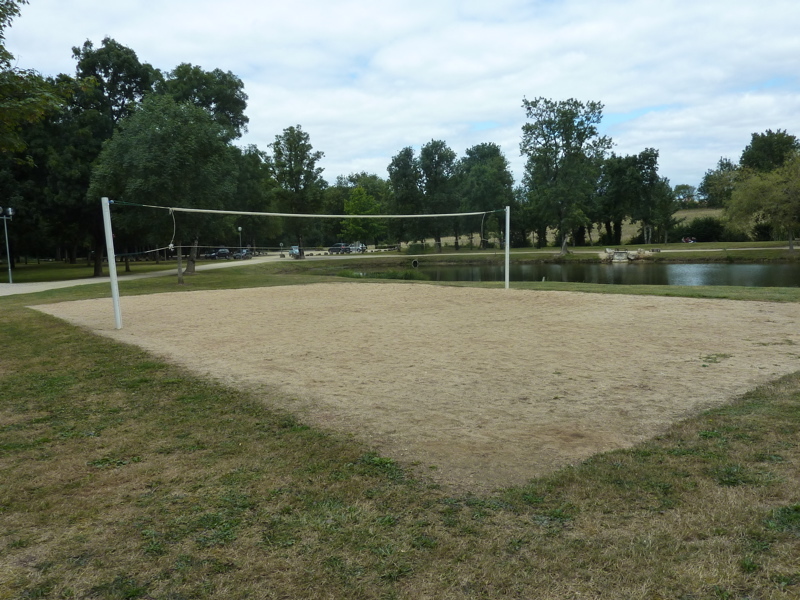 Needless to say it’s a safe environment for children to play and there is even a large brick built barbecue for everyone’s use if you don’t fancy something from the bar restaurant. All of this to do in only two weeks and Abi and John tell us that they are having a swimming pool installed this autumn ….. next year we’ll just have to book three weeks! So, thanks for a fun holiday for all of us and look forward to seeing you next year. 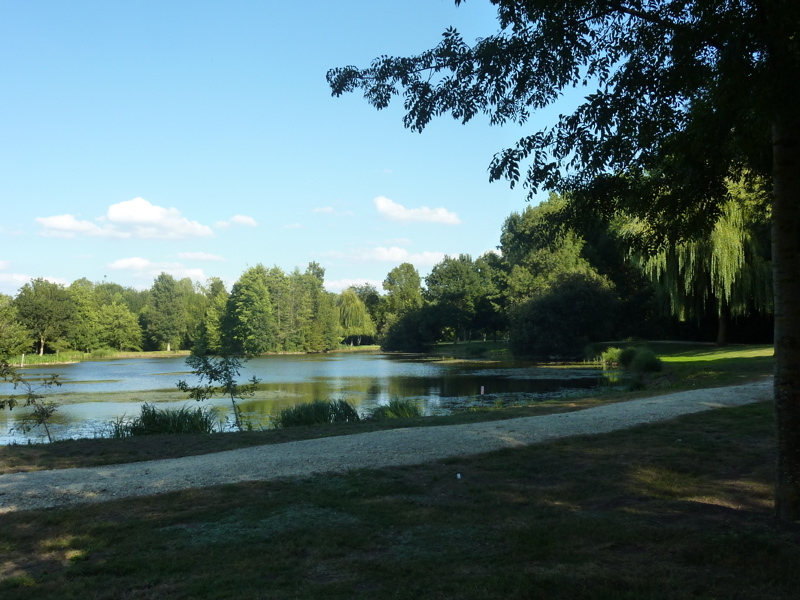 We are in the Charente near Angouleme and googled swimming lakes nearby. Very useful to find this info thank you. Also amazing coincidence that Charlotte was at school with Hannah (and Miss Giles)! Small world!